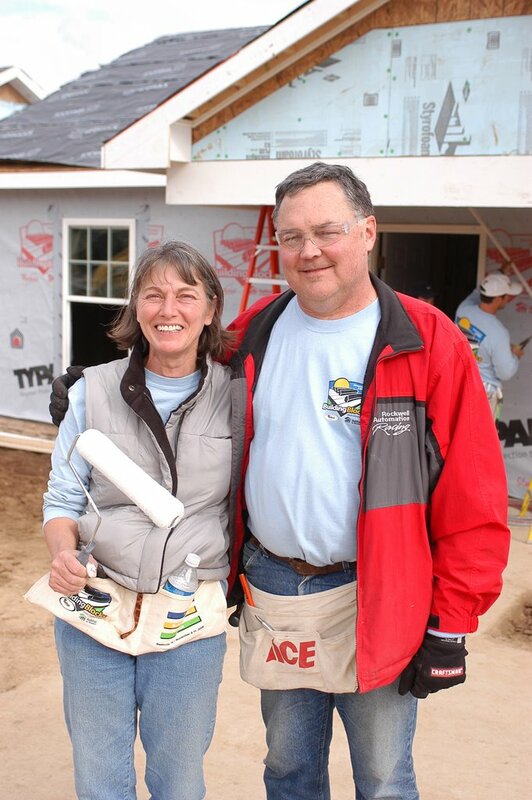 In the spirit of the holiday season, Hickory Hardware™, an American designer, manufacturer and marketer of decorative, functional, and industrial hardware, recently participated in Habitat for Humanity’s 10-home build in Nashville, Tennessee on November 6-11. A new member of the Nashville community, Hickory Hardware provided volunteers and donated door hardware products for the five day build. Habitat for Humanity has helped change the lives of more than 30,000 American families since its founding in 1978. The new Building Blocks program, hosted for the first time by the Nashville Area Habitat for Humanity, is designed to engage people from around the country in an effort to raise awareness and help eliminate substandard housing in the United States. This around-the-clock build included the construction of 10 homes for Habitat for Humanity families on one residential housing block in Nashville’s Providence Park area. Among the volunteers participating in the project were Hickory Hardware’s president, John Westendorf, his wife, Cari Lou, and John Pelka, vice president of marketing. In addition to helping with the build, Hickory Hardware also donated interior and exterior door hardware products for all 10 homes.